When you buy a new or used vehicle, you want to know that your investment is well protected. Even if the car you’re purchasing has the dependable quality and commitment to excellence that is just part of the package when you buy a Kia, a little extra peace of mind makes the whole purchasing experience more comfortable. Enter the amazing Kia warranty, one of the brand’s most compelling selling points because it illustrates Kia’s total confidence in the vehicles they produce. Backed by a warranty with the appealing terms Kia offers, you can fully enjoy your new Kia purchase without a shadow of doubt. If you’re buying a new or certified pre-owned Kia from Safford Kia of Salisbury, you’re already making two fantastic choices! You can be confident that no matter which of Kia’s amazing vehicles you choose, you’re going to be getting a great car for a true bargain price. 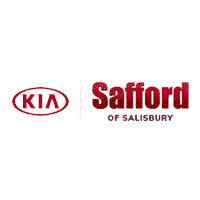 Safford Kia of Salisbury specializes in getting our customers the best possible deal on the Kia that’s at the very top of their list. Whether you’re eyeing the Sorento, the Optima, the Soul, the Forte, or any of the brand’s other amazing offerings, you can find it in stock for a fantastic price at Safford Kia of Salisbury. And with Kia’s factory warranty in place, you’ve got nothing to worry about. There’s no greater testament to quality than a brand that stands behind their product. Kia does this by offering industry-leading warranties on all of their new and certified pre-owned vehicles. What makes the Kia warranty plan stand out? From repairs to emergency roadside assistance and a trip interruption policy, the benefits of a Kia warranty go above and beyond what you might expect, long after you’ve become a proud Kia owner. If you’re already sold on a Kia, then learning about the Kia brand’s superior warranty coverage is just the icing on the cake. If, however, you’re still weighing your options, this might be just the thing to convince you that Kia is the way to go. Need a little nudge in the right direction? Stop by Safford Kia of Salisbury and browse our wide selection of new and certified pre-owned Kia models we have in stock. You’re bound to find some worthy options among our inventory, and once you’ve taken a test drive or two, it’s just a matter of time before you find your perfect Kia. The warranty plans that Kia offers are hard to beat, as are the prices you’ll find on every vehicle at Safford Kia of Salisbury. Visit us today and find the right one for your needs and budget!